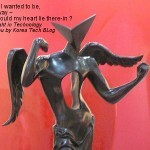 You are here : Korea Tech BLog » electronics » now should I buy that Kindle 2 ? now should I buy that Kindle 2 ? February 24th, 2009 05:19 PM | by koreatech | electronics. OK this is South Korea . the land where 6 graders get an electronic dictionary as graduation gifts . 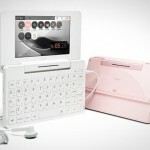 a medium-high model costs aprox.$200 (cause the Won is low right now) but has a dozen dictionaries each of English, Japanese, Chinese AND Korean plus a dozen more S.E.Asian and European phrases for travel, has a scheduler, plays mp3 music AND videos in crisp color . students watch video replay lessons downloaded from manufacturer’s site but can also watch movies transfered from the main computer . add $50 and you watch DMB-TV as well as WiFi Internet Browser – which means you can watch streaming movies stored in your computer on the other room . most are by once-small-time Korean manufacturers where Japanese Sharp and Casio has barely joined in the multimedia versions . 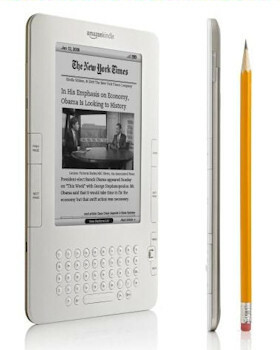 from this perspective : at first glance the likes of Kindle would yawn into the Stone Age with its black-and-white screen where the one thing going for it would be its sleeky design, the very attraction why manic Koreans still use the Mac even if they’re not in the media profession . but it is the uncomparable database of book titles and continuous magazines which only the likes of Amazon can offer – to be downloaded even at the airport lounge, or any populated area that catches cellphone signals – that makes the no-B.S. sleek machine absolutely attractive to the literary being . due to copyright issues the Korean models mentioned above can only access native *.txt text files . aside from one or two models which have won licensing, they would have to process *.doc or *.pdf files into their own format manually then transfer into the machine . 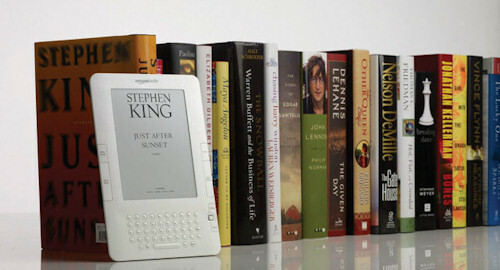 the only other issue would be the ease of use – whether you can slide the pages as if it were a book and underline notes if you have to – all done pretty neatly AND improved in this second version of Kindle 2 . overall it is comfortable to read even in bed mainly because it is NOT a small machine roughly the size of 4 iPhones spread out . a machine having to be small for easy portability versus the larger-the-screen the easier-to-read-factor has been the debating issue on laptops for a while . and as Amazon should know Kindle is the right size to read comfortably for extended periods still not bulky to carry around . considering other options, on the small side : another sleek-designed iPhone or in Korea iTouch (iPhone without the phone) great for portability but a pain to read due to its miniscule screen size which you would slant sideways 90 degrees, or any of the Korean and Japanese electronic dictionaries I introduced on former blogs with 4″ diagonal wide screens while Kindle has ample 6″. on the larger end : the currently popular NetBooks (NoteBooks with 7″~10″ screens) are a wonderful alternative because it will read all sorts of file formats . so there you have it : in considering to buy a Kindle you have to weigh in 2 dimensions . 1) choosing it in place of actual books and magazines, and 2) among a myriad of other electronic alternatives such as scheduler or laptops . I would say the only 2 cons here are the price – many timesfold buying an actual book, and the grey-tone screen – handicapped when enjoying a magazine . this has been a note on the day Kindle 2 started shipping in the States – for respect of a compact machine with deep, durable content lacking in Korean mobile devices which tend to be more um, pizzaz – the very reason why I cherish the old bookstore Shakespeare & Co. almost as Hemingway had Paris in “A Moveable Feast“. where can one can a kindle in Korea? Is it possible to get one? and add to that Korean-dedicated readers selling since last year . I take it from your post that you are not too keen on the Kindle. It may be expensive there in Korea, but its not bad value in the U.S and U.K. I do realise that the kindle can not do as much as an i-pad or tablet, then again the Kindle only costs a fraction of an i-pad. For the cost I don’t think it’s too bad a gadget! only matters of product support in Asia, where this BLog is geographically concerned . plus this was posted a Year BEFORE the influx of iPad Wonder . more-over in 2011 it is great to be available as an application added to iPhone/iPad/Adroid ! 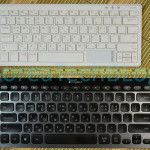 Korea Tech BLog is proud to announce its winner of Best, Worst AND Unique Design Awards 2009 in computer AND general electronics ! Amazon started shipping the new ebook reader Kindle 2 and here's how it compares to Korean electronic dictionaries .